The post-mobile world is here and it is providing marketers with new challenges for delivering results and meeting customer expectations. By 2020, over 50% of all consumers expect to use AI and voice-activated technology in their daily lives. Today, 30% of all mobile searches have location-intent, while 5G mobile speeds are predicted to further transform mobile search in the next three years. 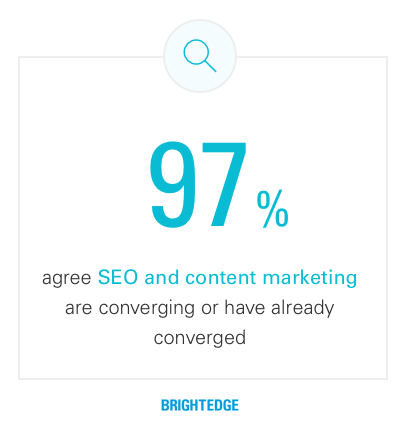 A new survey released by BrightEdge, the leader in enterprise SEO and content performance marketing, reveals that marketers believe in a future ruled by the likes of Alexa, Artificial Intelligence (AI), voice search, and the Internet of Things (IoT). Yet, most in-house marketers and agency practitioners have done little to introduce these powerful components into their content marketing strategy. BrightEdge surveyed 252 digital marketers at Fortune 500 brands that represent a split of B2B and B2C companies over a one-month period in April and May of 2017. The survey sought to understand how marketers are preparing for the accelerating consumer adoption of AI, voice search, and local search over the next year. Download the survey results report now.